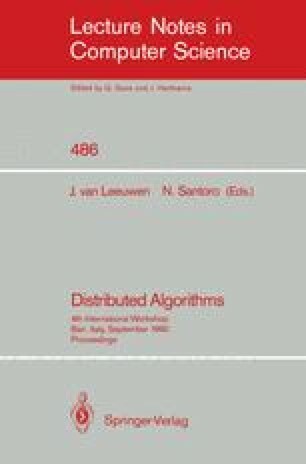 This paper describes an algorithm which has been used to implement load balancing for the problem-heap paradigm on a distributed system of transputers. The algorithm is relatively simple due to the fact that only local balance is sought. Emphasis is put on the stepwise development of the algorithm. First an abstract algorithm is presented and its safety and liveness properties are proved. Then a concrete, distributed algorithm is shown to correctly implement the abstract one. Experimental results of the transputer implementation are also reported.